WV Anniversary Edition 16334760 https://www.kaercher.com/ie/home-garden/window-vac/wv-anniversary-edition-16334760.html The Kärcher 10 year Window Vac Anniversary Edition is the quick and easy way to sparkling windows and streak-free surfaces around your home. 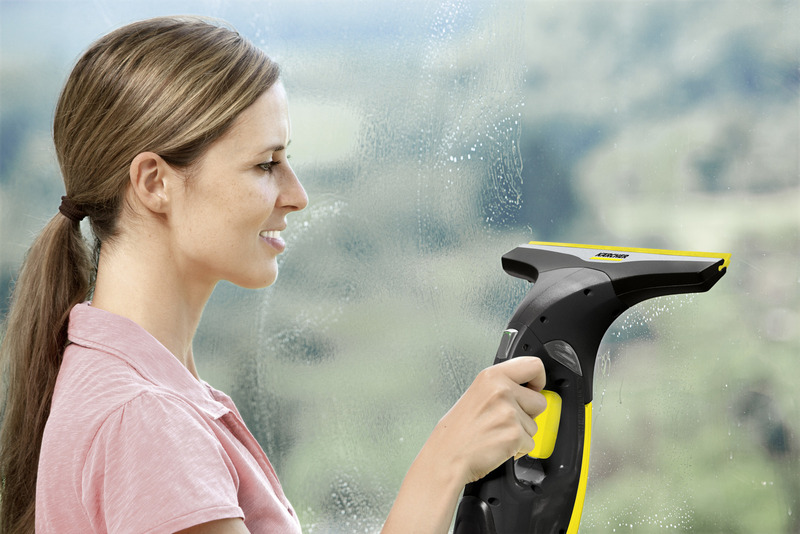 Kärcher is celebrating 10 years since the launch of the original Window Vac. 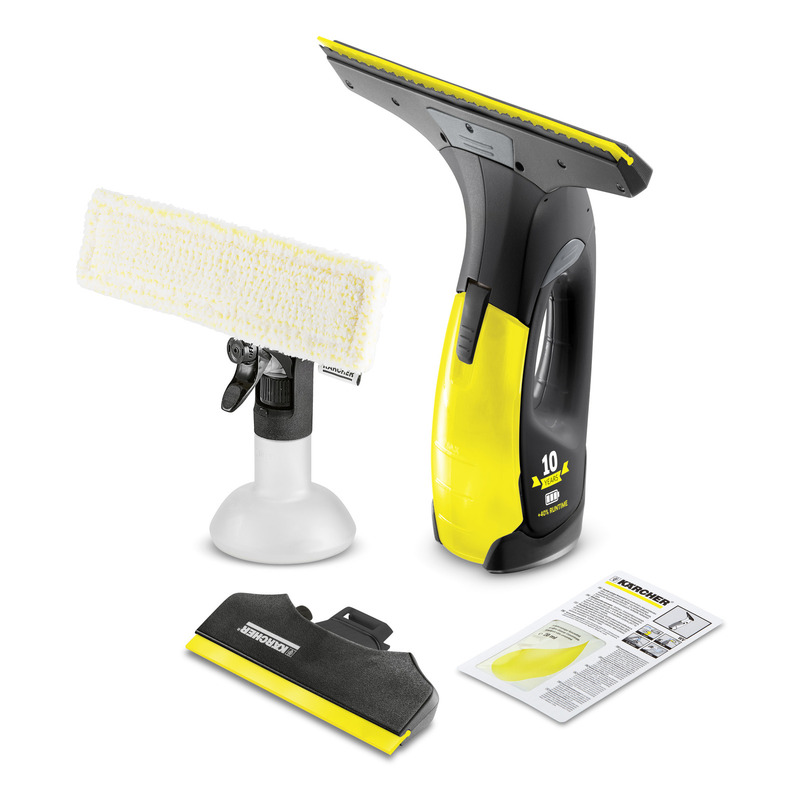 The WV Anniversary Edition is the quick and easy way to sparkling windows and streak-free surfaces all around your home. Offering a 40% longer run time than the WV 2, the Anniversary Edition has an impressive 35 minutes cleaning time. This package includes a 170mm narrow suction head, spray bottle set with microfibre cloth and 20ml glass cleaning detergent, giving you everything you need to leave your windows and surfaces streak-free and sparkling clean. WV Anniversary Edition is rated 4.7 out of 5 by 526. Rated 5 out of 5 by old timer from So easy to use Well packed, prompt delivery, item totally as advertised. Does a super job and so easy to use. No more paying out for window cleaners. Rated 5 out of 5 by Samantha from Window cleaning made easy For the first time ever I enjoyed cleaning my windows and so quickly too. Rated 2 out of 5 by Sue31552 from Difficult to use So far I'm not impressed. It left so many streaks down the glass that I spent just as much time polishing as I would have done if I hadn't used it. The instructions are confusing and so I will have to check YouTube to see if there is a demo on there that I can follow in the future. Rated 5 out of 5 by Jazz from Almost streak free! Bought a cheap one initially but broke after a week so returned it to store. Decided to splash out on the Karcher model and haven’t regretted it. It cleans mirrors perfectly and great for my car windscreen. I wipe over any dry marks with a dry Spontex cloth to finish off.